Anti-ageing your body: Lorraine's tips for Health & Wellbeing magazine. 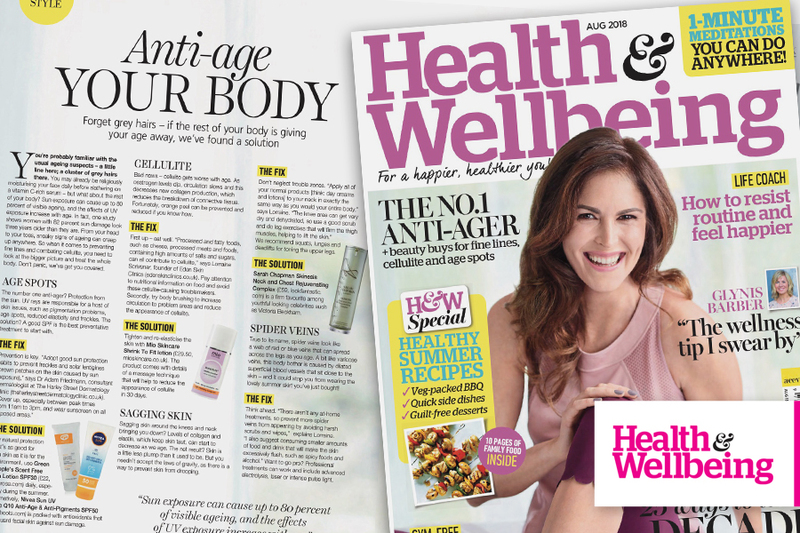 Clinic founder and leading skincare expert Lorraine Scrivener gives readers her tips on how to anti-age your body in the latest edition of Health & Wellbeing magazine. Bad news says Health & Wellbeing magazine. Cellulite gets worse with age. As oestrogen levels dip, circulation slows and this reduces new collagen production, which in turn decreases the breakdown of connective tissue. The good news is that unsightly orange peel can be prevented and reduced if you know how. First, eat well advises clinic-founder Lorraine. Processed and fatty foods, such as cheese, processed meats and foods, containing high amounts of salts and sugars, can all contribute to cellulite. Pay particular attention to nutritional information on food and avoid cellulite-causing troublemakers. Secondly, she recommends body brushing to increase circulation to problem areas and reduce the appearance of cellulite. Sagging skin around the knees and neck are a common sign of ageing. Sagging is caused by decreasing levels of collagen and elastin (which keep skin taut). The result? Skin is a little less plump than it used to be. But, says Lorraine, Health & Wellbeing readers needn’t accept the laws of gravity, as there is a way to prevent skin from drooping. It’s easy to neglect trouble zones. Apply all of your normal products (think: day creams and lotions) to your neck in exactly the same way as you would your entire body says Lorraine. Knees can get very dry and dehydrated, so she suggests using a good scrub plus leg exercises to firm the thigh muscles, helping to lift the skin. Squats, lunges and deadlifts are ideal for toning the upper legs. Looking for a little help? 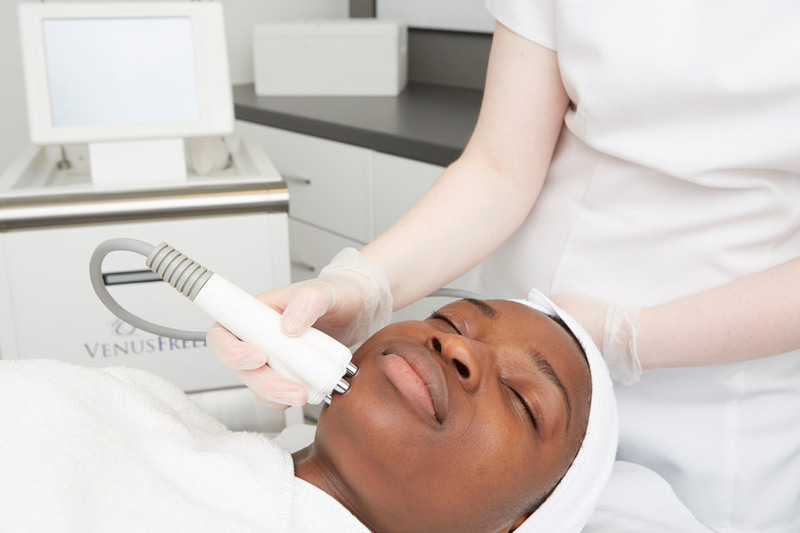 Both our Venus Freeze and Dermapen Micro-needling treatments can tighten skin in these often problematic areas. True to their name, spider veins look like a web of red wiggly veins that can spread across the legs as you age. Also known as thread veins they are caused by dilated superficial blood vessels that sit close to the skin – and it could stop you from wearing the lovely summer skirt you’ve just bought! Think ahead is her advice. Unfortunately there aren’t any at-home treatments, so prevent more spider veins from appearing by avoiding harsh scrubs and wipes. Lorraine also suggests avoiding food and drink that will make the skin excessively flush, such as spicy foods and alcohol. Want to go pro? 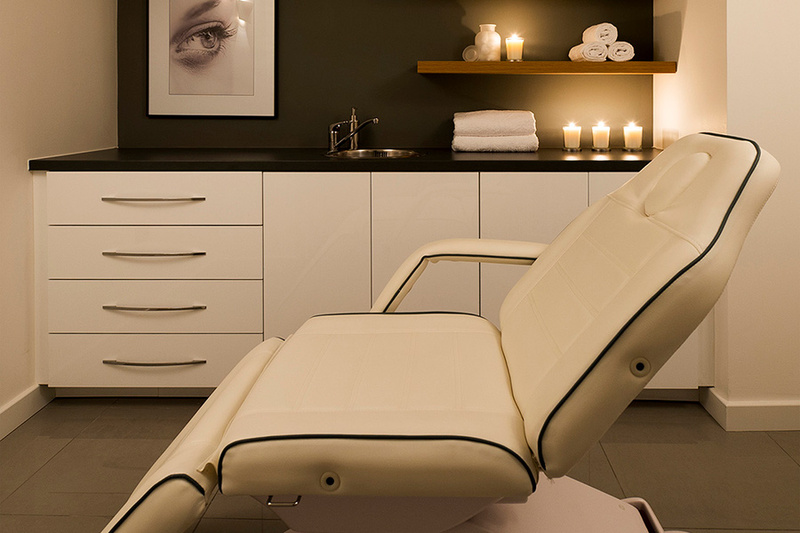 Lorraine tells readers that professional treatments do work and include advanced electrolysis, laser or intense pulse light. Learn more here. The skin’s elasticity starts to reduce during our 30s. However, the rate at which we get fine lines and wrinkles can be decreased. It’s never too late to try and improve or prevent fine lines says Lorraine. While there can be a genetic predisposition to this skin problem (so look to your parents for signs of early ageing), environmental factors such as sun exposure and the products you use on your skin can also play a role. Lorraine recommends readers use products containing retinal, or vitamin A.
Eden Skin Clinics are in Kensington and Wimbledon and Lorraine is available for consultations at both clinics. Browse our non-surgical advanced anti-ageing treatments here.To book an appointment with Lorraine or her team call 020 7584 0115.